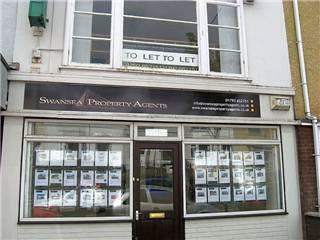 Whether you are selling or buying, letting or renting a property be sure to contact Swansea Property Agents first. Dealing with residential sales and lettings, investment property and property management our experienced staff are here to provide an individual and dedicated service to each and every one of our clients new and old alike. The company has been formed by Andy Smith and Andy Mildenhall whom have combined their skills and experience to package together services to suit everybody's requirements. With several client testimonials received during their first month in business Swansea Property Agents appear to have a very bright and promising future ahead of them. Members of the NAEA, INEA and DPS. After only one month we have 93 properties on our books with 42 for sale and 51 for let including 31 managed properties. On average, properties are sold within 3 months of being listed by us and let within 9 days. We have properties between £30,000 - £350,000. We offer 4 levels of letting service from tenant finding to full management with rent guarantee. The managed properties range from studio apartments to 9 bedroom student properties and in all areas of Swansea. Currently we do not charge VAT. Sales commissions are 1% of the completion price and lettings are varied depending on what service is required.